This is the end. The music has ended. The lights have dimmed. The face paint removed. The tents folded. Almost everyone has gone home. If there was ever a deadhead move, this was it. After completing the final performance of its 146 year history, Ringling Brothers and Barnum & Bailey Circus is no more. 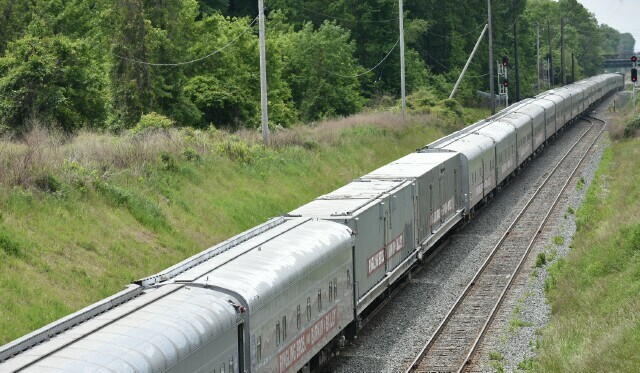 The railroad cars that have been a home for the performers and circus personnel for these many years have been auctioned off to the highest bidder. 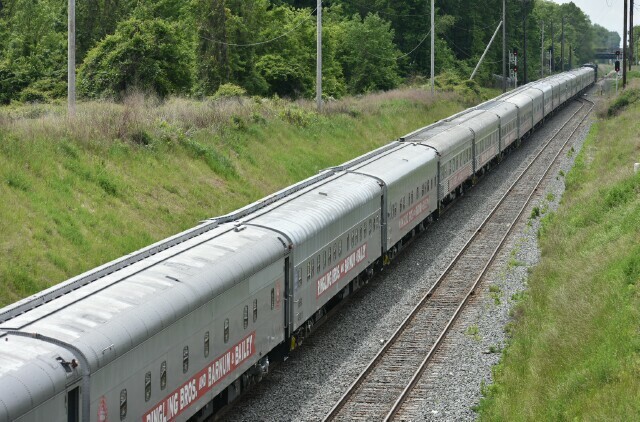 The last performance was May 21 2017 at Nassau Coliseum on Long Island, and two days later the last circus train departed Uniondale, ultimate destination Florida. 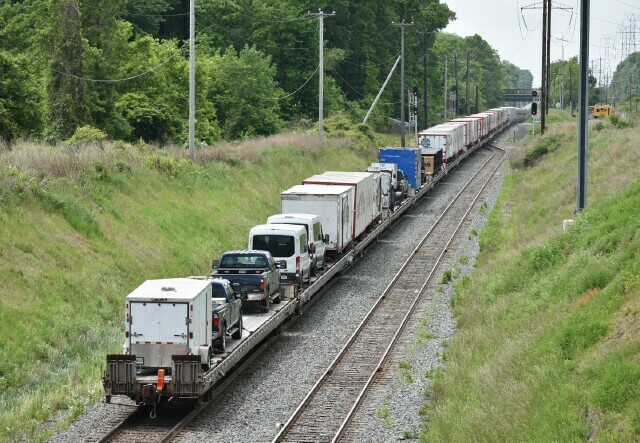 When the Blue Unit arrived Oak Island Yard the next day, it found a number of the cars from the Red Unit there, left in North Jersey two weeks earlier before what remained of the RUCT continued on its way home. The BUCT dropped off some cars too but picked up many of the Red Unit cars as well, creating combined train that was dubbed by railfans as the "Purple Unit". 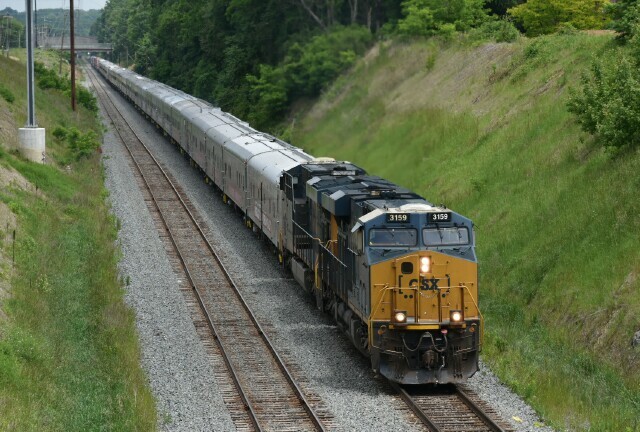 The PUCT left Oak Island mid-morning on May 24 2017 for a daylight run through the Mid-Atlantic states, much to the delight of those railfans. 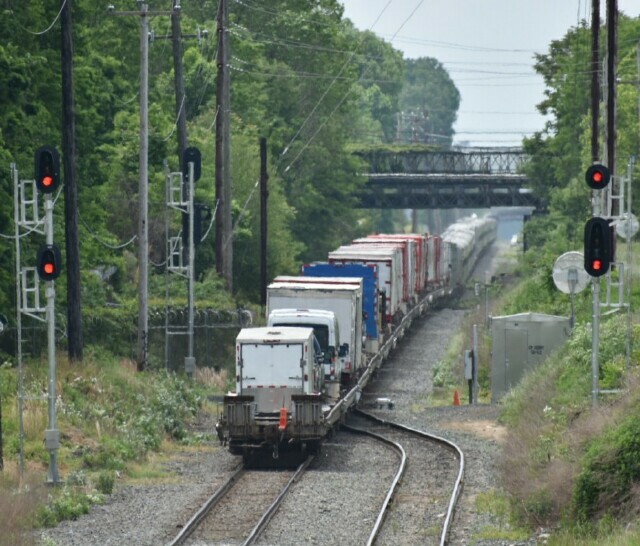 CSX P923 The Last Ringling Brothers and Barnum & Bailey Circus train enters Philadelphia for the last time. 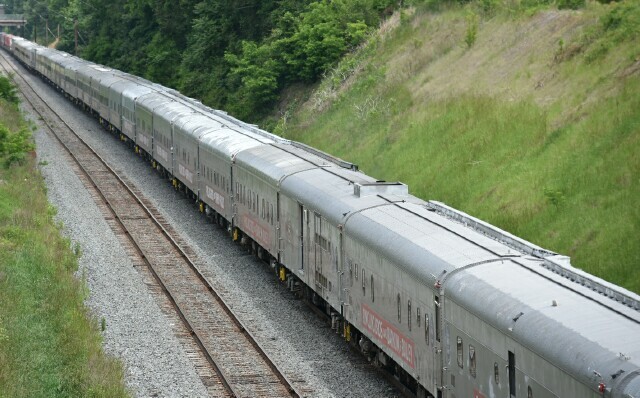 The front of the train was dominated by passenger cars from the Blue Unit. Then came some of the Red Unit cars picked up in North Jersey, mixed in the the Blues. 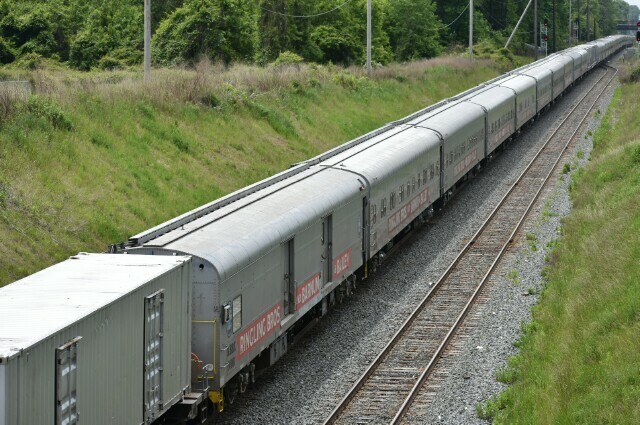 The back third of the train was made up of the flats loaded with equipment. 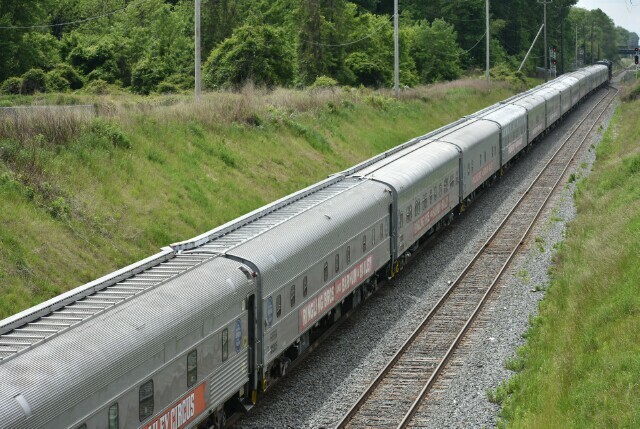 A number of the cars were scheduled to be set off along the way to Florida. Good bye and good luck to all those connected with the circus. You will be missed.